Even customers who give great product specifications often forget packaging design. Others specify retail packaging, but don’t mention shipping boxes. This post looks at all levels of packaging for your product. Why they matter and what you need to address at each level. Good packaging design needs thought and pre-planning. It may cost a little more. On the other hand, it costs far less than repairing or replacing damaged products. And for many clients, pre-planning actually saves on repacking costs once goods reach Australia. Let’s look at these from the innermost level outwards. This is the final sales packaging for the product. It’s the first packaging most people think of. Branding. Logo, tagline, colour, imagery and style are important. So is the packaging material. Promotion. Related to branding, but not the same. Think about special packs for promotional campaigns, like this current Nutrigrain offer. Product protection. Products such as glassware, ceramics and electronics may need internal packaging materials as well as a carton. Ease of stocking. Many fast-moving consumer goods are sold in rectangular cartons. The shape makes it easy to stock shelves. It’s efficient use of space too. Labeling requirements. Regulations vary for different products, but be sure to check requirements in your packaging design. Barcodes. Yours. Your distributors. You may print as part of the packaging, or you may leave a space and apply stickers later. This packaging is one level up from the individual retail unit. If you’re supplying to retailers or wholesalers, it’s the level of packaging you’ll use to deliver to them. In Hornet’s experience, many clients could improve business results by looking at inner cartons much earlier in the sourcing process. Design inner cartons to meet your retailer requirements and have goods packed in these cartons in China. Your unit cost may increase a little. But you save on the expensive process of packing and unpacking your product once it’s imported. Not only is it less work to do it right first time, in China, you also get the benefit of cheaper labour. So before you place your next order, talk to your retailers. Then specify inner cartons which satisfy all their requirements. Order quantities. Retailers often have a preferred order configuration – for example, lots of three, or six. If your inner cartons match this configuration, your pick and pack operations in Australia will be much easier. Branding, labeling, barcodes. Your distributors want to make operations easier for their warehouse or store staff. Find out what their guidelines are and follow them. Remember Occupational Health and Safety. Do your partners have limits on the size or weight of cartons their staff can handle? Carton materials and quality. A common issue here is carton thickness. These cartons are still being handled by warehouse staff in bulk. They need to be able to stand up to this treatment. What about labeling for fragile goods, or markers indicating which way up a carton should be stacked? For some products, the inner carton may double as a retail display unit. This can save a lot of rework and increase sales! Think about what happens when your inner cartons are opened. Remember, warehouse staff have to open hundreds of boxes. They use a knife and they’re in a hurry. An extra layer of cardboard at the top of your inner carton can protect retail packaging boxes inside it. 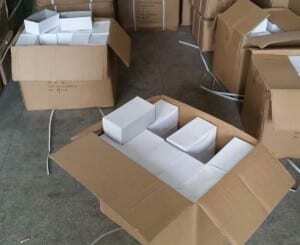 These cartons are your top level shipping carton. They are the units used to pack onto a pallet, or into a shipping container. They are also known as export cartons. 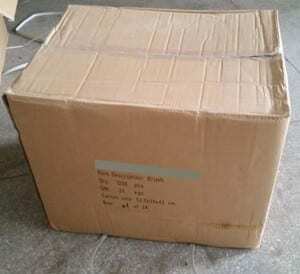 The key issues for this level of packaging are protection during transport and accurate shipping. For product protection, there are many aspects to consider. Strength and thickness of cartons. They need to cope with rough handling. They may be dropped or knocked. Bad weather can lead to turbulence during air freight. Container ships roll with big waves, so items may shift even if well packed. Temperature variations. If your product is sensitive to temperature, you need to allow for this. Does it expand or contract? Leave space, but still make sure the product is secure. Humidity. Once a container is packed, there is limited airflow. The air may not be able to hold as much moisture if the temperature drops, so condensation occurs. Include desiccants in your packaging to minimise mould and water-staining from excess humidity. Theft and pilferage. Branding on outer packaging can be a temptation. It doesn’t add any real value. Avoid it. Product code or other reference numbers. Net weight & gross weight of the carton. Number of cartons in the consignment (so your cartons might be labeled 1/280, 2/280 etc). 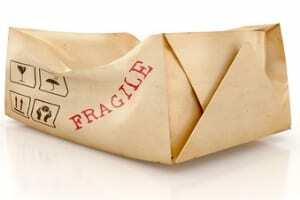 Indications if your product is fragile, hazardous or needs to be stacked a particular way up. The shipping mark can be printed directly onto cartons or attached as a sticky label. It should be waterproof, as cartons may be exposed to rain or other moisture. Also consider having the shipping mark in both English and Chinese when shipping from China. So the people handling your shipment understand it! While most products are packed in cartons, they’re not appropriate for everything. You may need to use wooden crates or metal drums in some instances. In this case the shipping mark will almost certainly be on a label. Your export cartons will probably be packed onto a pallet and/or into a container for transportation. Both these options restrict air circulation, so humidity and temperature control become more important. You may need extra measures at this level to protect your product. Packaging waste is an increasingly important issue. The Australian Packaging Covenant aims to encourage re-use and recycling of packaging. If you ship to other countries, research regulation before finalising your packaging design. Certain packaging materials may be restricted, or require special treatment. Wood used in crates and pallets is a prime example. Unless you are shipping full containers, the weight and dimensions of your packaging will affect your total freight bill. Light, strong materials and efficient use of space can save you money. Hornet’s number one packaging advice? Specify your packaging as carefully as you specify your product. And get it checked as part of your pre-shipment inspection. For more advice or assistance with your export packaging, just contact us!